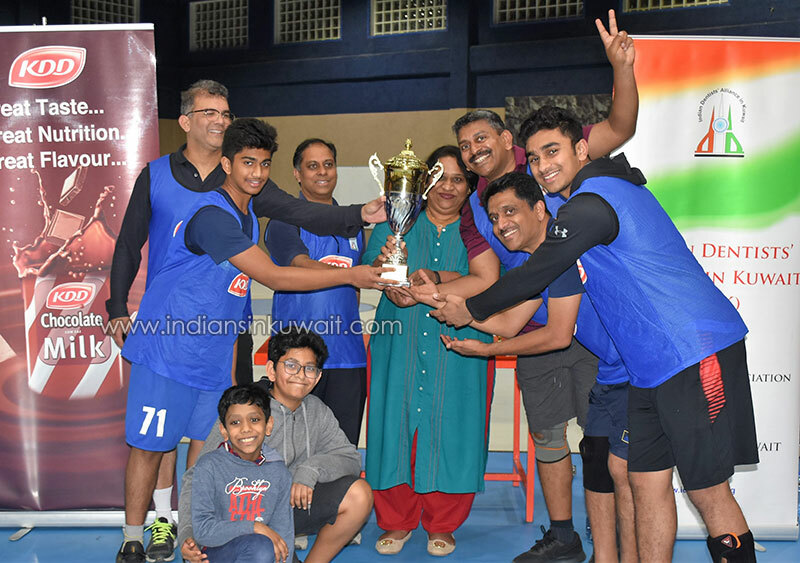 The Ahmadi Avengers came back strongly to the contention of IDAK-KDD Sports Championship 2018-19 by winning both the Men’s and Women’s Basketball tourneys conducted at the American International School, Hawally on 25th January 2019. In the Women’s league Hawally Hurricanes led by Dr. Aastha Mehta remained unbeaten against both opponents, while Ahamdi Avengers captained by Dr. Tiny Jojo overcame a fighting Capital Challengers led by Mrs. Athira Mithun, to book the spot in the finals. In the finals were fortune fluctuated both ways, Avengers emerged victorious through the last and final throw by Master Benjamin Bobby Thomas. Mrs. Salina Mustafa of Ahamadi Avengers was declared the Best Player. In the men’s round robin league, Avengers led by Dr. Musthafa Keyi, thrashed Capital Challengers, while Hawally Hurricanes blew up the Challengers, to set up the final clash. Challengers were captained by Dr. Ashwin Sudesh while Hurricanes was led by Dr. Manoj Koshy. In the classic finals where both Avengers and Hurricanes fought tooth and nail to get an upper hand, the youthful and agile Avengers brushed past Hurricanes 20 - 18, with the help of Lekh Shetty’s brilliance on field, which bagged him the best player title too. While their parents clashed on the basketball court, IDAK kids had a fun filled day playing Dodge ball and mini basketball. 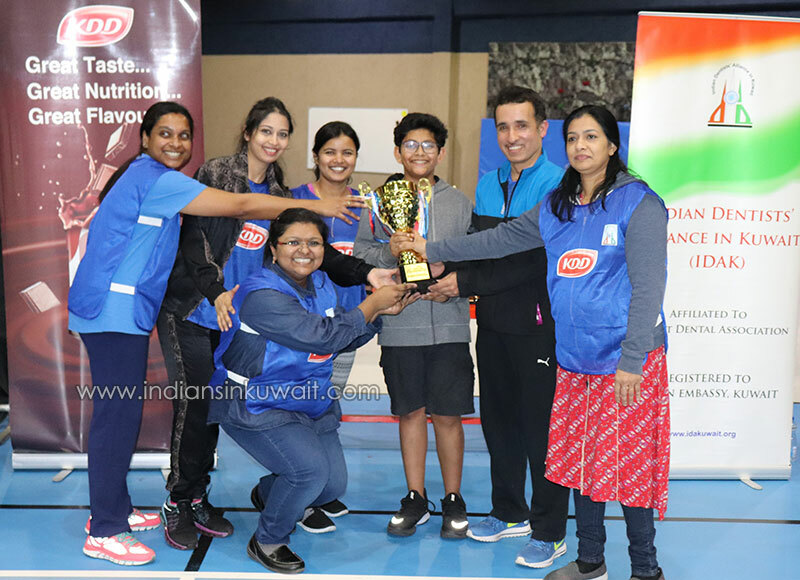 Rueben Mathew won the best player in junior category while Manha Shaikh walked away with the trophy in sub junior category. 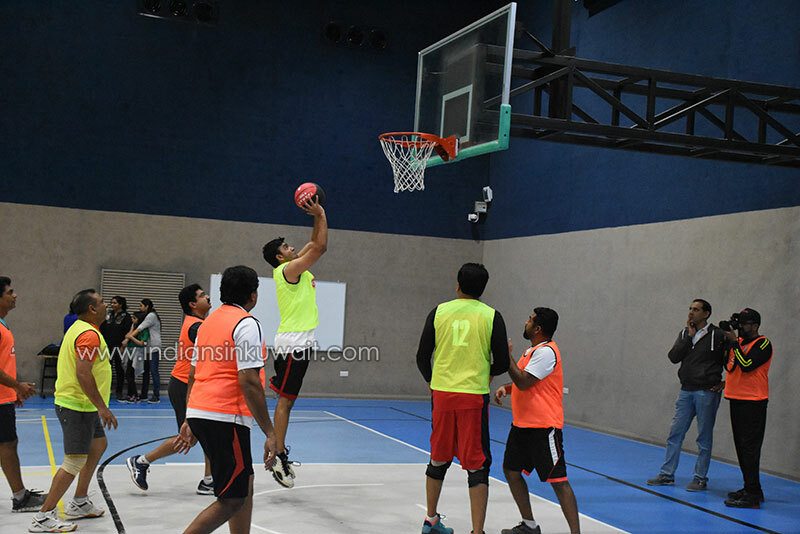 At the end of Basketball Tournament, Hawally Hurricanes jumped to the first position in the point tally for IDAK KDD Sports Championship 2018-19 with 45 points, while Challengers slipped to second spot with 42 points and Avengers caught up with the top two teams with 39 points, to make it a tough three way contest in the championship table with three more events remaining in the term. The games of the day, were controlled by referee Mr. S.Sudheesh, who is working as the Physical Education teacher in Carmel School Kuwait. Senior members of IDAK gave away the trophies while IDAK Sports Committee headed by Dr. Rahul Puthalath organized the event. KDD and Al Mulla Exchange were the event partners which witnessed a good participation by IDAK members.